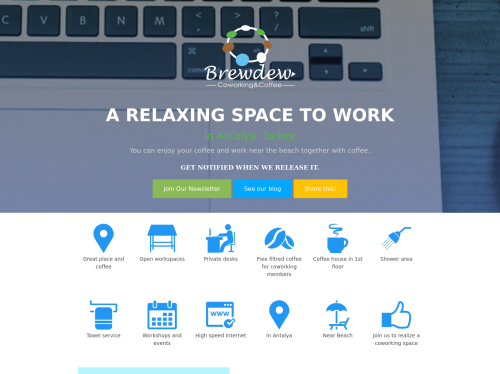 Brewdew Coworking&Coffee: A relaxing space to work. A relaxing space to work. Brewdew is a realxing space to work for freelancers, digital nomads and entrepreneurs in Antalya,Turkey. We create a hub for nomads and freelancers while we brew the good coffee to the community. Our first floor is a coffee house and second floor is a coworking space. Join the revolution and contribute to realize a coworking space together.